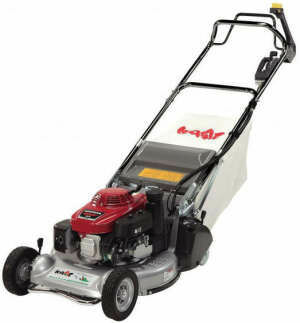 Lawnmowers for sale in Northern Ireland from AM Rentals in Newry. 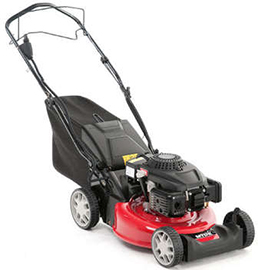 We supply our lawn mowers for sale to customers all over Northern Ireland and the Republic of Ireland. 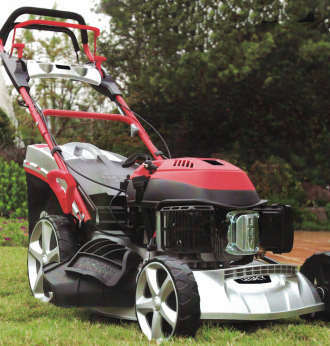 We offer a wide range of lawn mowers at great prices from all the leading brands. 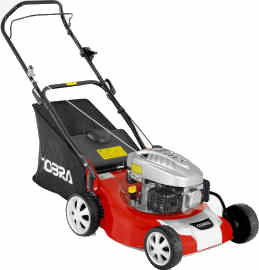 We have great deals on Honda and Husqvarna petrol lawnmowers. 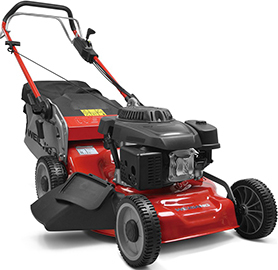 Our garden mowers for sale can be collected from our store in Newry or delivered to any county in Ireland for a small delivery fee. We provide an unrivalled level of service and value for money for all our customers, no matter where you live. 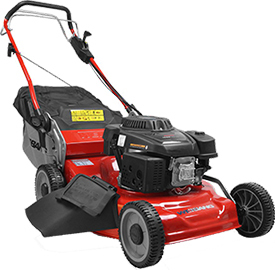 Over the past 38 years we have built a large and varied customer base who continue to come back to us for our great prices, great service and unparallelled back up which we offer on all the lawnmowers we sell! 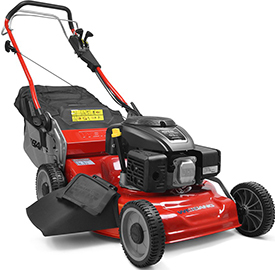 Call into our store in Newry Northern Ireland to choose yours in person, or call us to order your new lawnmower for quick delivery to any county in Ireland. 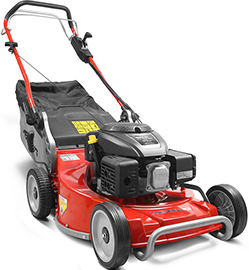 Check Ego battery powered lawn mowers here. Newry on 028 302 66665 or from ROI 0044 28 302 66665 or send us an email to amrentals@btconnect.com. 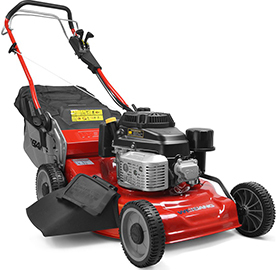 Delivery cost varies per lawnmower, call us to get a quote, we check and pre-assemble each mower - container of oil also supplied. 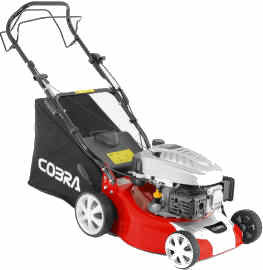 Cobra M46C 18 inch steel deck mower. 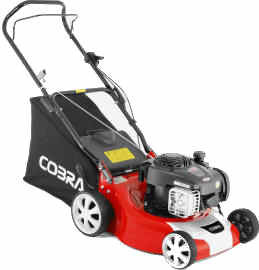 Cobra M46SPB 18 inch steel deck lawnmower. 60 litre grass bag - 5 speed drive. Mulch / Collect / Side Discharge. 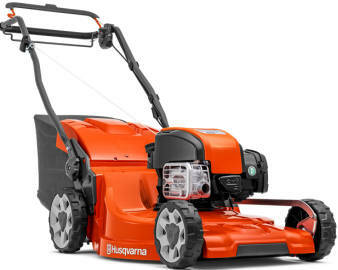 Husqvarna LC247 19 inch composite deck lawnmower. 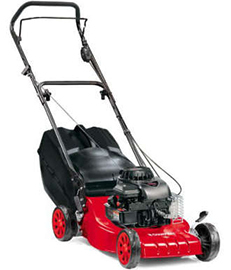 Briggs and Stratton engine - ready start, no prime, no choke - just pull. Easy adjust handles with soft grip. 55 Litre Grass Bag with dust blocker. 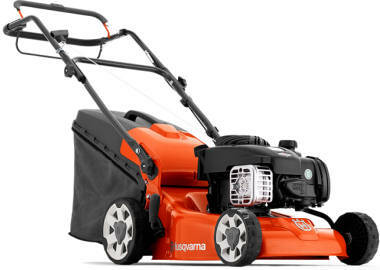 Husqvarna LC247SP 19 inch composite deck lawnmower. 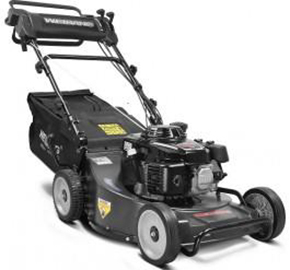 Husqvarna LC353V 21 inch composite deck lawnmower. 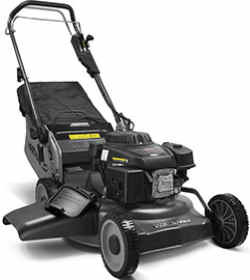 Briggs and Stratton 650EXI engine - ready start, no prime, no choke - just pull. 60 Litre Grass Bag with dust blocker. 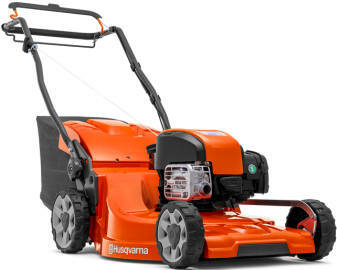 Husqvarna LC551S 20 inch alloy deck lawnmower. 65 Litre Grass Bag with dust blocker. 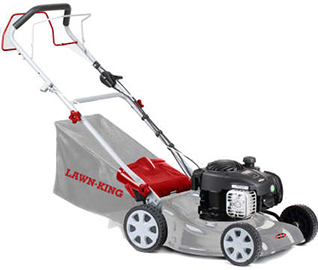 Lawn King LK46RSPC - more detail. 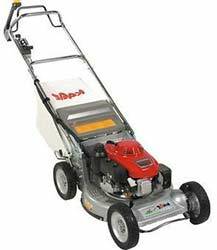 Lawn king LK46RSPC 18 inch steel deck. 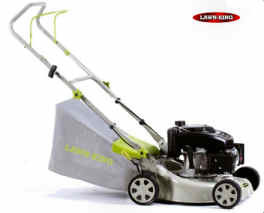 Lawn King LK51RSPB - more detail. 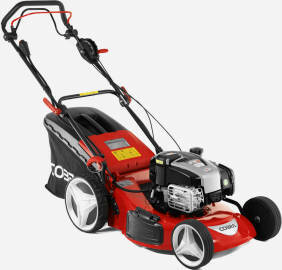 MTD ThorX 55 ES 159 cc engine. 70 litre, double skin grass collector. £795.00 inc vat - last one at this price. 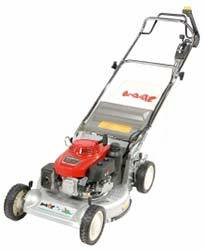 Legacy L51SHLCE 21 inch self propelled lawn mower - KEY START. 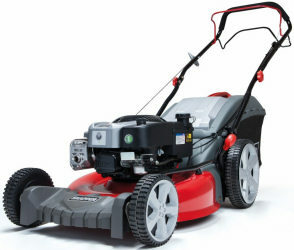 Legacy L51SHLCE 21 inch steel deck self propelled lawnmower WITH KEY START. 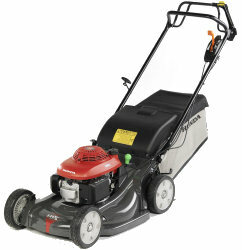 Includes Mulcher, side discharge, rear discharge or collect..
20 inch steel cutting deck, Self Propelled. 160cc Honda GCV160 engine, auto choke. 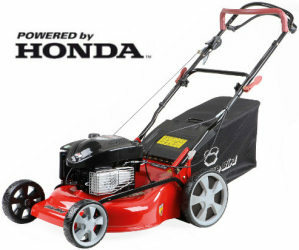 Honda's latest engine, no need for a throttle lever. 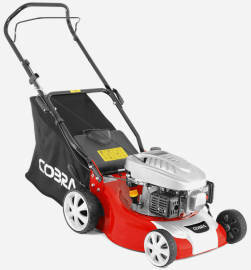 Cobra M40SPC 16 inch steel deck lawnmower. 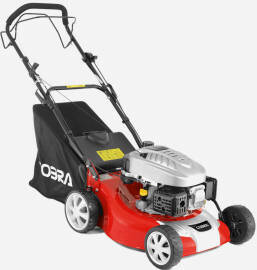 Cobra DG450 Series petrol engine 135cc. 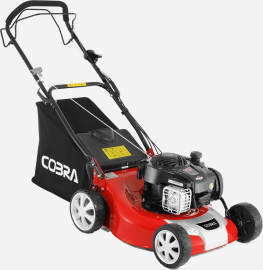 Cobra M46SPC 18 inch steel deck lawnmower. 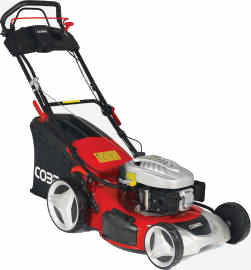 Cobra MX46SPCE 18 inch steel deck lawnmower KEY START. 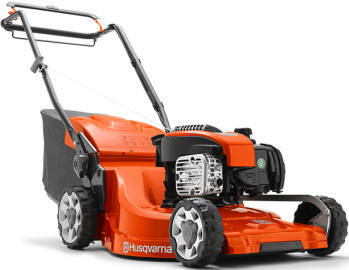 Husqvarna LC140S 16 inch steel deck lawnmower. 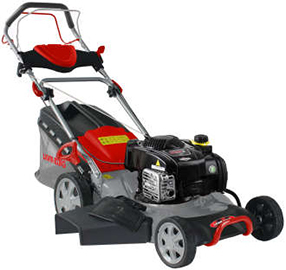 Briggs and Stratton engine - easy to start. 50 Litre Grass Bag with dust blocker. Self propelled on rear wheels. 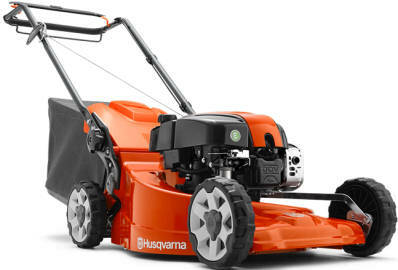 Husqvarna LC247S 19 inch composite deck lawnmower. 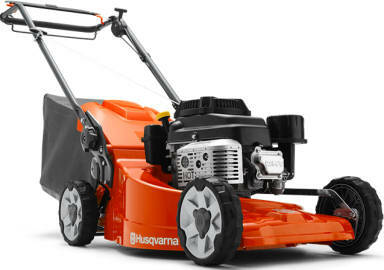 Husqvarna LC253S 21 inch composite deck lawnmower. Husqvarna LC451S 20 inch alloy deck lawnmower. Briggs and Stratton 875ex engine ready start. 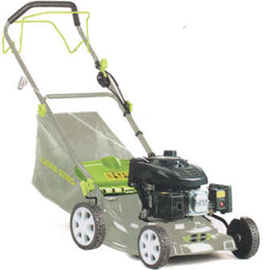 Lawn King LK41 RC - more detail. Lawn King LK46RSPB - more detail. Aluminium wheels Disc Blade Kit Included. 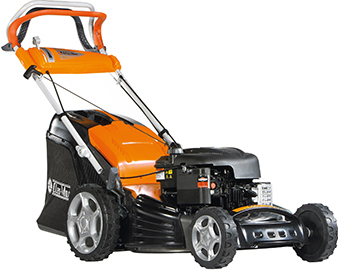 Legacy L51SHLC 21 inch self propelled lawn mower. 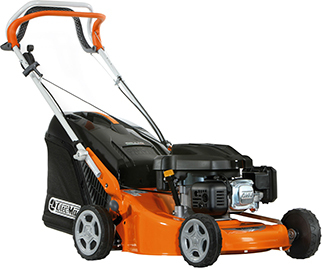 Legacy L51SHLC 21 inch steel deck self propelled lawnmower.